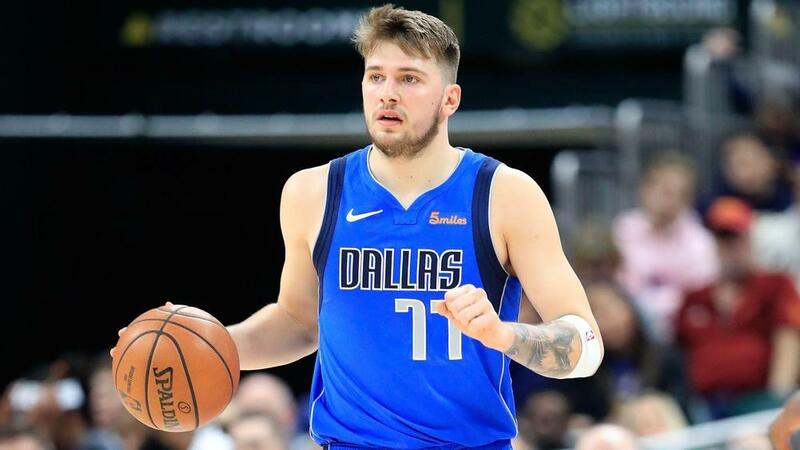 Dallas Mavericks rookie Luka Doncic became the second-youngest player in NBA history to record a triple-double with his display against the Milwaukee Bucks on Monday. The 19-year-old forward had 18 points, 11 rebounds and 10 assists in Dallas' 116-106 loss to Milwaukee. But, Doncic was not happy with his performance and would have much preferred a win. "I played bad for sure," Doncic said. "I didn't feel good ... I'm happy for my triple-double, but I would prefer the win for sure. I didn't play good at all." Doncic missed the league record by just 10 days. Philadelphia guard Markelle Fultz is the only other teenager to have recorded a triple-double. Fultz was 19 years, 317 days old, while Doncic is a little more than a week older at 19 years and 327 days. Doncic is the third rookie in franchise history to complete the feat. He joins Dennis Smith Jr. (one last season) and Jason Kidd, who recorded four in 1994-95. Doncic has averaged 20 points, 6.7 rebounds and 5.1 assists in 44 starts. He remains a favourite for Rookie of the Year.